Working Mac's Jeff Battersby has more gear for your tech toolkit. I bet you thought we were done, but there are a few more things I can’t live without that didn’t make into the previous two columns. So this week, a bonus round of indispensable items I use most every day. I do two types of scanning: Stacks of paper scanned in sequence and book pages I need to review. 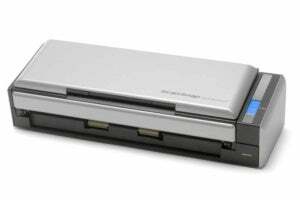 For the former I’m a huge fan of the ScanSnap S1300i ($241 on Amazon). I’ve been using a version of this portable scanner for about seven years and it never fails to please. It handles simplex and duplex scanning, creates images in PDF and JPEG formats, and automatically detects paper sizes so it’s great for receipts and legal documents. It also scans directly to a file, printer, email, Dropbox, Google Docs, Salesforce, and Photos. And in all the years I’ve owned it, after thousands of pages, it still works as well as it did the day I bought it. Whether it’s a page or two of a script, a magazine article, or some reference pages from a book, from time-to-time I need to scan a page or two of something I can take with me on the go. I’ve played with a ton of iOS scanning apps, but I’ve yet to find one better than Scanbot (free with in-app purchases). Scanbot’s smart scanning easily detects page edges, the app performs OCR, features which make this my favorite iOS scanning app. I have a confession. I’m addicted to notebooks. 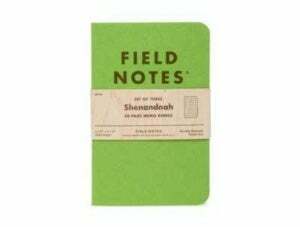 More specifically, I’m addicted to Field Notes Brand memo books ($10 three-pack available on Amazon). Inspired by seed catalog notebooks, Field Notes are perfectly pocket-sized and available in a quarterly special edition subscription. There are none better. Great notebooks need great writing tools and I’m a little obsessive about sharp points and comfortable grips. For my money the Kuru Toga Roulette] ($9 on Amazon) is the best mechanical pencil I’ve ever had the pleasure to use. 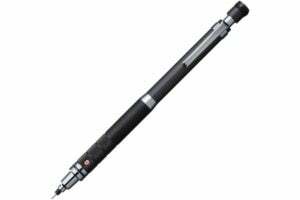 It has a comfortable milled metal grip and continuously spins the lead so your pencil tip remains sharp and ready to use. Sometimes Apple’s built-in Disk Utility just doesn’t have the game it needs to repair your computer’s hard disk. Before you abandon hope, check out Alsoft’s DiskWarrior ($120). This directory repair tool has saved my bacon on many a disk I thought had no chance of being fixed. 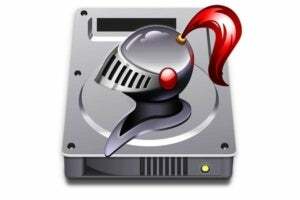 DiskWarrior is a must-have addition to your Mac troubleshooting toolkit. A few years ago I was teaching a class when we started talking about Network Attached Storage (NAS) devices. One of my students, who worked for Mac consultancy serving businesses in Chicago’s Loop, told me about Synology and how great their Disk Stations were. I ordered a DS214+ before I left Chicago and set it up as soon as I got home. I was sold as soon as I began using it. Synology Disk Stations are well designed, can work as anything—as your in-house media server, as a full-on enterprise-level NAS device, or even as your own personal cloud storage system (like Dropbox, but private)—and offers business-level redundancies in almost every one of their storage systems. Synology Disk Stations start at about $170 without hard drives. For the last year, beginning with Profile Manager I’ve taken you on a tour of Apple’s $20 Server app. For the small office there’s nothing quite like apple’s Server app. 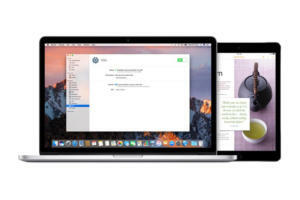 File sharing, Time Machine backups, private office calendars and messaging, and easy device management are simple to configure and easy to manage. Its an excellent took for any small office and scalable enough to meet your growing needs. I’ve used quite a number of remote control tools over the last several years, many of which were really good, but none have been as great as TeamViewer. 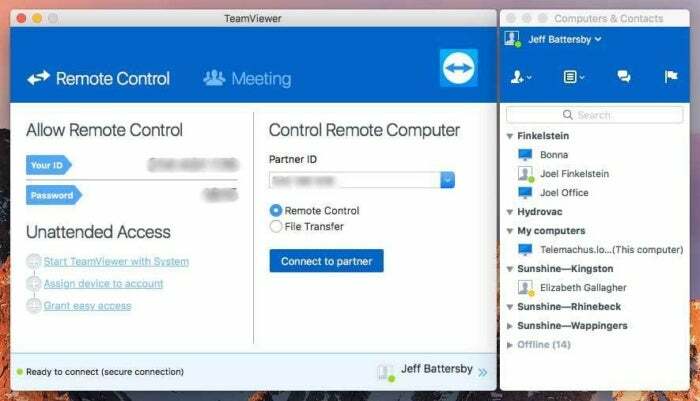 Free for non-commercial use with scaled pricing based on the number of users using the app concurrently, TeamViewer is a tool that makes interaction with all my clients, no matter what platform they’re using, friction-free. I love this app and you will too.